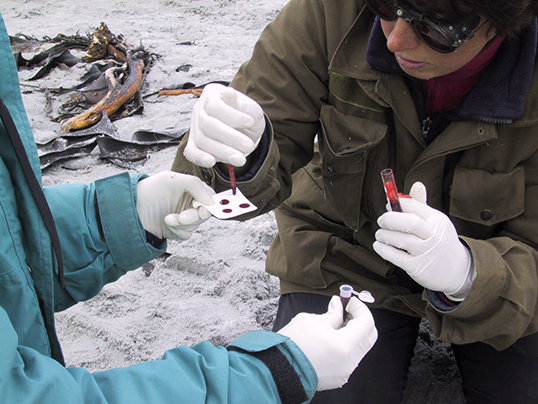 Hormone studies are becoming an important area of research on marine mammals, because they are linked to social behaviour, have important implications for physiology (e.g. fasting), and are an excellent index of human induced stress. We are currently working on two hormonal sub-project.The second project is focused on the effect of testosterone on male agonistic behaviour (male threat vocalizations and fights in particular). 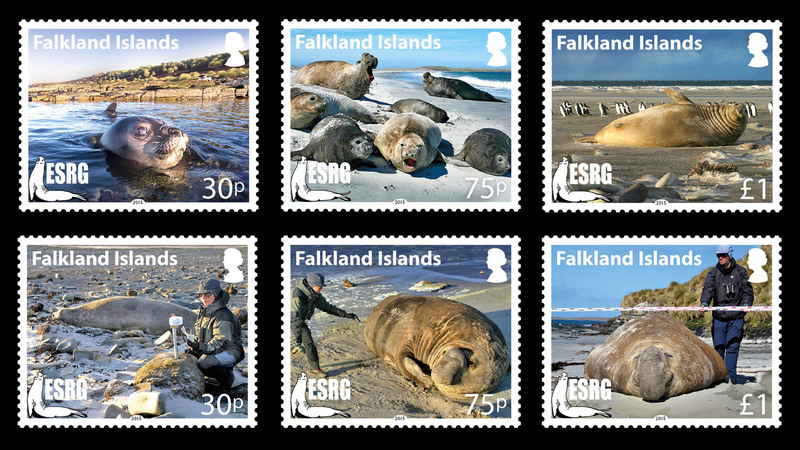 Testosterone present a notable seasonal variation in southern elephant seals. In this case, we are using the blood spots method, i.e., the collection of blood drops on filter paper. 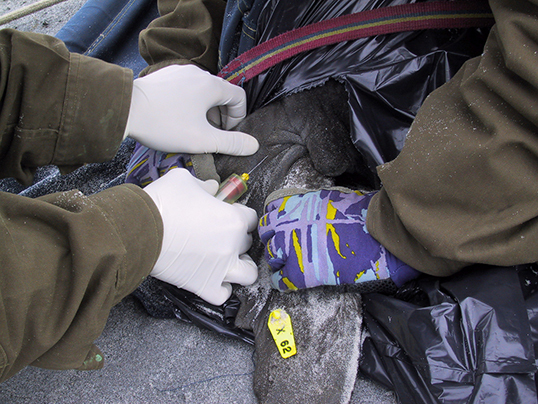 Blood is collected opportunistically from bleeding natural wounds. 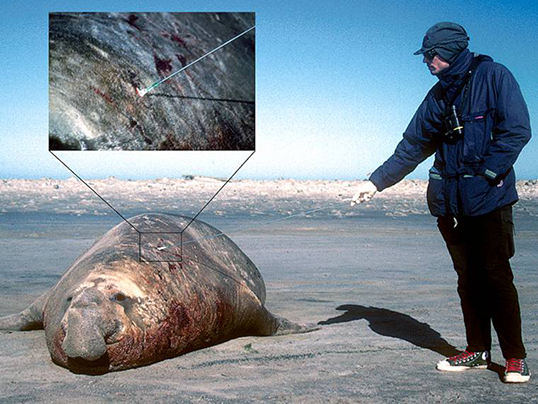 A preliminary analysis demonstrated that this is a very effective methods to analyze testosterone adult elephant seals with any form of restrain and with a minimum of invasiveness. The second project regards the study of cortisol in weanlings, to estimate the stress due to handling and weighing operations. We are using filter paper to preserve blood, because it proved a fast and effective method to preserve hormones, that does not require any cooling or freezing.